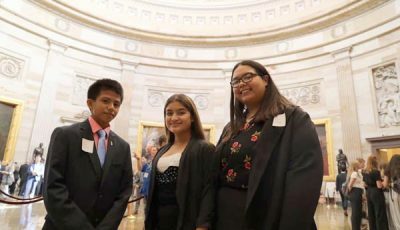 Delegate Kilili questions equal rights and congressional representation denied NMI U.S. citizens and other U.S. territories in recent weeks. These are vital issues that require attention so it is presented to the U.S. Congress in concert with other territories. It’s about the denial of rights! All should gravitate to Kilili to build upon rock solid support to raise this issue with the federal government. These issues are constitutionally limited to the 50 states. It doesn’t include citizens living in territories. Perhaps, the focus was on the founding of the union then. But when it trumps equal rights against citizens who live in territories it turns into a major form of discrimination. Aren’t the issues about a citizen’s equal rights and representation? There are two methods of voting—popular and Electoral College—the former inconsequential, the latter the system used in presidential election. The Electoral College system is similar in composition as members of the U.S. Congress of 535 from the 50 states plus three from D.C. for a total of 538. Any presidential candidate must secure 270 electoral votes to secure election. Territories aren’t included in either system. The journey to right this institutional injustice would be long and without any sense of meaningful destination in sight. Obviously, it has persistently suffered congressional neglect. This is where citizens outside of mainstream U.S. of A. must forge a fight to even the playing field on equal rights and representation! Moreover, it would be quite a journey to right this injustice in that it would require some 44 states approving amending the U.S. Constitution to accommodate the two issues. Meanwhile, we live each day joyfully discriminated! So discriminated it feels like the large fading scar on my left shinbone. And we teach equality and justice in high school civics courses! Are there any movers to right this institutional wrong? The journey to justice is often long and difficult. But it has to have a beginning. Thanks, Kilili! Will do a follow-up piece on this later. 80-percent ghost: When Da Boysis on Da Hill increased their salaries by 80 percent, two things inevitably happened: 1). They padded their pockets a hefty $31,600 as others sigh for help. 2). They wedged a division between elite versus ordinary villagers. Messy house: The NMI can’t seem to keep its ducklings under its wings. If one wants to exit he’s basically free to do so at his own peril. Such seems to be the case with our healthcare system confused over whether CHC handles the Kagman Health Center or is it at liberty to opt out on its own. When it gets down to the basic cost of operations, is the agency fiscally capable to pay for staff salaries, employer’s contributions to the retirement program, medication and medical supplies, taxes, and utilities? Beyond the politics to break free, these are issues that definitely merit real answers. If it’s a task that can be done without CHC’s cash infusion, more power to the Kagman management. Hatch Act: We seem to be dismissive of the limits of political activities by the NMI government. We do so with impunity as though “might is right.” I am sure you know there are federal laws that regulate such activities. The GOP kick-off on Rota last Friday the 13th would fit the bill on “influencing elections” and “participating or managing campaigns” where a Cabinet meeting was the alleged camouflage to resuscitate Biktot Hokog’s fading political career. A grand scheme at the expense of taxpayers! This is dead wrong! It’s taxpayers’ money that includes several charter flights, per diem, and ground transportation. The public auditor must also do ocular review of this expenditure. In fact, the appropriate local and federal agencies must jointly intervene so we right the wrong once and for all! Was WD-40 oil used to sway voters? Collusion: Has Hokog done anything to return the $400,000 he expropriated from taxpayers for his family? How come no one, either from the administration or Legislature, has lifted a finger to enforce accountability of taxpayers’ money? Or is this a reconfirmation of Republican collusion on corruption to screw taxpayers royally too?